Adelaide host Central Coast on a chopped-up pitch at Coopers Stadium on Saturday night, just 48 hours after AFLX made its debut on the ground. 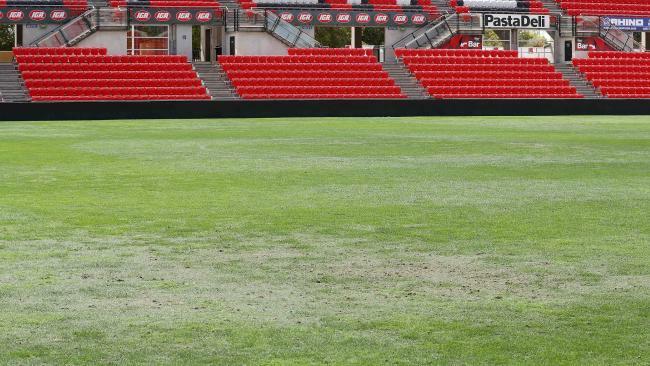 Kurz says United should have been scheduled to play away games while their home pitch repairs after the AFLX tournament. "Maybe we play two games away in between but it (scheduling) is not in our hands." Kurz tuned in to the AFLX experiment on television - he watched for "two seconds" before switching off in lament at the damage to the pitch. 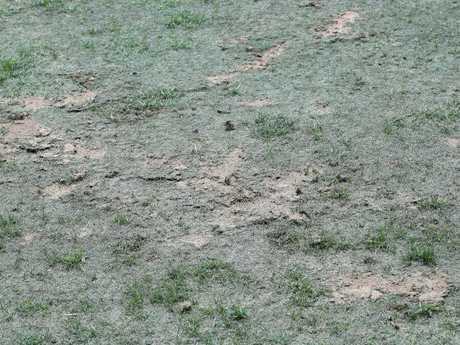 Kurz has ordered his players to "be careful" on the rough pitch. "High focus with the balls, with the passing maybe don't think that a pass will be safe - the ball can bounce," he said. "But the way we will play, it's the same. It's not our style to play always long balls. "It's for both teams the same. I cannot spend too much energy on a situation I cannot change." The Reds enter the fixture in fourth-spot, a dozen points clear of the ninth-placed Mariners. And Kurz said Adelaide's latest recruit, Slovenian striker Dzengis Cavusevic, was a chance to make his first appearance for the club. "He has training with us seven times and every day it's getting better with his fitness and his understanding the football we play," Kurz said. "It still takes time for the boy but I'm sure he will help us in the last eight rounds, he's a massive striker with strength in the box."